Learn to respond with tactical speed and effectiveness in real-life cyber attack scenarios through immersion in the most advanced cyber testing, evaluation and training environment. The ManTech Advanced Cyber Range Environment is a unique physical and virtualized facility that brings ManTech’s best-in-class cyber defense expertise to a new generation of professionals in business, infrastructure, transportation and federal civilian agencies. 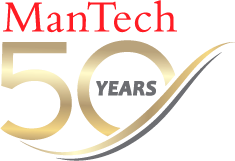 Experience is everything in the unforgiving world of cyber defense, and ManTech is a pioneer in cyber. With more than 20 years’ experience, we were engaged in cyber before “cyber” even got its name. And we have applied our expertise to designing and building cyber ranges for more than a decade. Cyber specialists in the U.S. Department of Defense, the U.S. Marine Corps, the National Guard Bureau, and many other national security institutions have sharpened their skills and learned new ones in our ranges. Building on an Infrastructure as a Service model coupled with more than a dozen proprietary tools, ManTech can do what other cyber range providers cannot – instantly provide a precise emulation of any network environment, regardless of size, at any level of fidelity. At the ManTech Advanced Cyber Range Environment you will train, evaluate tools, perform security architecture testing, and undergo live-fire exercises on an exact replica of the network you “live on” every day in real life. “When our clients are in the range, they should feel like they’re under attack,” says Dave Ferguson, ManTech’s Cyber Solutions Vice President and Technical Director. “They put their skills to the test against real malware such as WannaCry to learn how they would respond in their own environment." Network size is no obstacle. At one end of the scale, ManTech has run exercises on small isolated networks such as naval vessels and military installations. Moving upstream, we have executed global exercises against a replica of the Department of Defense Information Network (DODIN) with more than 800 participants. We thrive on complex simulations, and we have conducted up to 40 simultaneous events, including many against our simulated internet environment, combining scale and precision to provide the valuable experience that keeps you ahead of threats. Conduct comparative evaluations of new tools. You can bring your own licenses or use the hundreds of evaluation copies already available within the Range to conduct a wide variety of testing. Depending on the level of fidelity in the simulated network environment, organizations can rapidly validate and verify new capabilities that support high-value security accreditation requirements before they are deployed on an operational network. This minimizes potential vulnerabilities and risks. Conduct “what-if?” analysis of proposed security architectural changes in a simulated network environment ahead of live implementation. This allows you to evaluate overall effects of a “defense-in-depth” approach to securing the network. Testing ensures that multiple layers of security are in place, are configured properly, can be monitored and administered, and provide a level of redundancy that collectively increases overall IT dependability. Train and evaluate your cyber personnel on individual tools, techniques, and processes. Use the range to develop and refine day-to-day activities as well as incident response processes in a hands-on lab environment. Leverage the hundreds of online training courses available through our web-based Learning Management System to work toward information assurance certifications, such as CISSP. Develop and deliver customized courses for your organization. Depending on the exercise parameters, you can put your cybersecurity teams to the test in a simulated generic environment (low fidelity) or a near replication of your operational network (high fidelity), then evaluate how your information security teams respond to one or both types of attack simultaneously. Leverage ManTech’s big data platform to analyze your operational network, defensive tools and staff. Use what you learn to develop and implement a roadmap and let your overall, integrated cybersecurity effectiveness evolve through continuous monitoring. Our dedicated Range Management Team is ready to work with you to determine how best to use ManTech’s Advanced Cyber Range Environment. You will have a liaison to help guide you through the process, end-to-end, and to ensure that all of your requirements are satisfied. The Range Management Team is backed by highly skilled and experienced engineers. Our matrixed approach ensures that our staff is up to date on the latest range capabilities, tools, threats, malware, and mitigations. Download the ManTech ACRE brochure.